Stripe Top: Jcrew. Top: Jcrew. Trench (also love this one on sale). White Denim, sold out similar here. Shoes: Superga. Sunglasses: Celine. Bags: Sophie Hulme and Mansur Gavriel. This is such a cute outfit Blair, fall ready already I see. I hope you're having a wonderful weekend. Such a cute and lovely outfit! I really like the color combo of white, green and light pink! Superb outfit, so perfectly styled in retro chic vibe! awesome look. and i kinda need those superga shoes! I just can't get enough of your photos and the way you use props. Not only that, but the color palettes in your outfit is amazing! The green and pink are great together and your look is so preppy chic. Plus the way your layereed off-the-shoulder top is paired with a button down. I think that was a cool idea. Loving your style! Cannot wait for Fall in New York thanks to this look 😉 So perfect! Oh, that colors are so cute. I love those bags! I like stripped tops. Gorgeous combination with trench! Very classic. I am really into those espadrille sneakers! Amazing photos and amazing style! Want that pink vans omg sooo cute!! Those shoes are so cute! I love these pics. You look great. The weather has been so optimal lately for bike riding. I love the color of yours and your bicycle chicness. Love this outfit! You always inspire me to wear more pink 🙂 Your shoes are incredible! This is an absolutely stunning shoot. 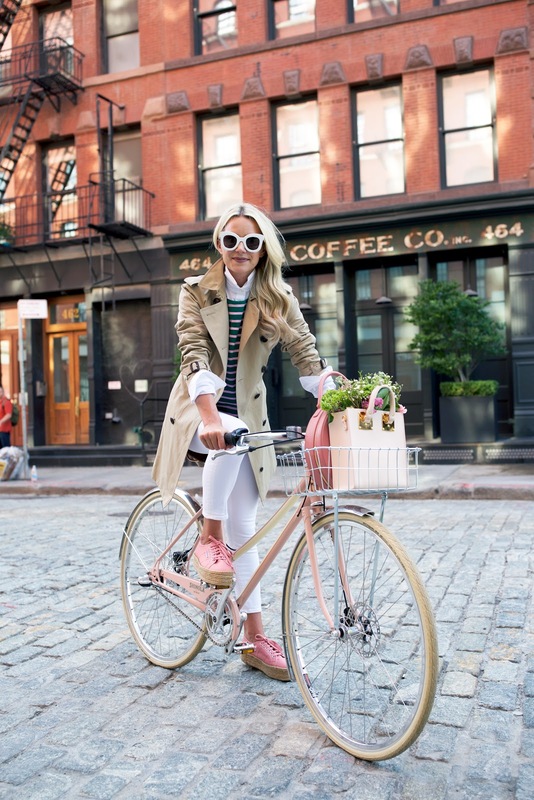 Love your shoes and the bike!! I love your pink and green striped top, so cute! 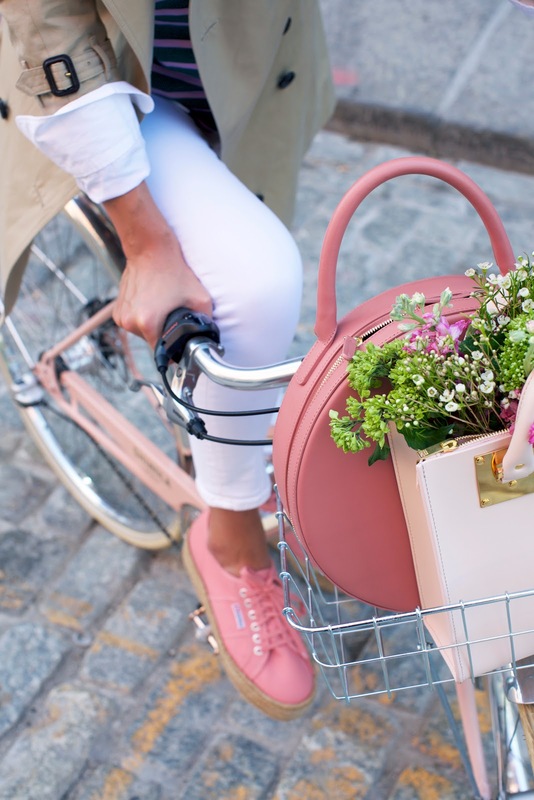 Such a cool look – love the pop of pinks! 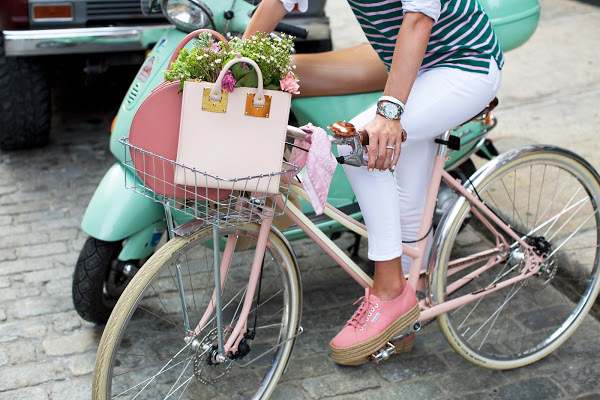 That pink bike is perfection! What a pretty trench coat! These are gorgeous pictures! I love the bike! I'm such a big fan of this look! Love the soft colors, and the layers. So cute! This is such an adorable colour combination! I love the mix of pink and green – it's a really cool combination we don't see often! You make ti work super well for the summer as well! well this is just everything! Love your top! The trench coat is a classy addition. 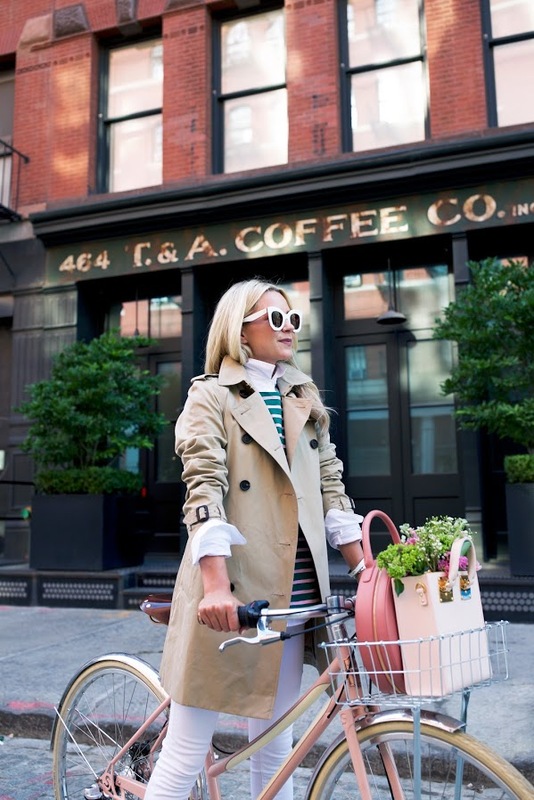 Me encanta el outfit, me encanta la bici, me encanta la vespa, TODO es precioso. Love, love, LOVE that stripe top!! Shop deeply discounted shoes, clothing and accessories. Find the best deals on top brands for men and women! Whether on the wards or for an OSCE exam it is essential to master this skill. Good luck. Please subscribe to our YouTube channel.